'Rain, rain go away, come again another day.' Foggy, misty, and wet are three words to perfectly describe this week's weather here in Chicago. 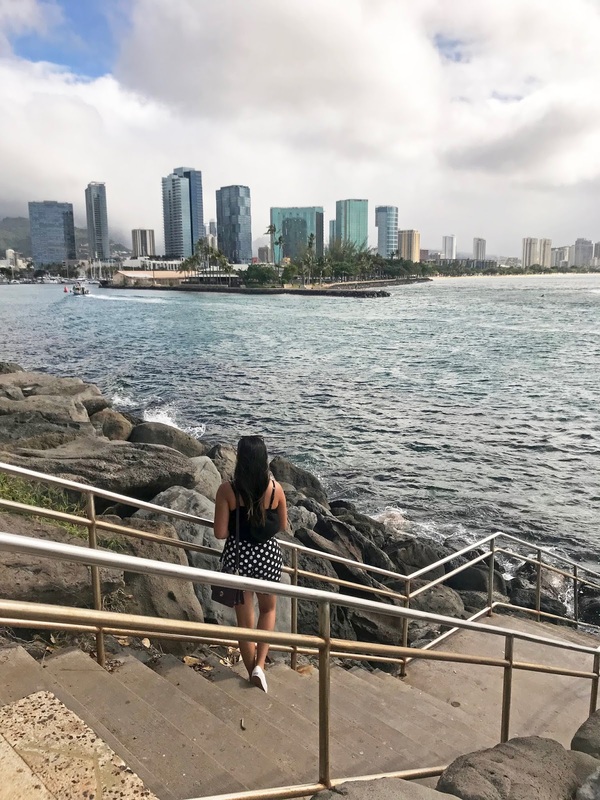 Rain can be any Fashion Lover's worst enemy because as much as I love to get dressed up every morning, these rainy days make me want to roll out of bed and wear my dull, baggy, and run-downed tee shirt and pants out the door instead. Staring at my closet for hours, trying to figure out what is even acceptably cute to wear on this gloomy day. 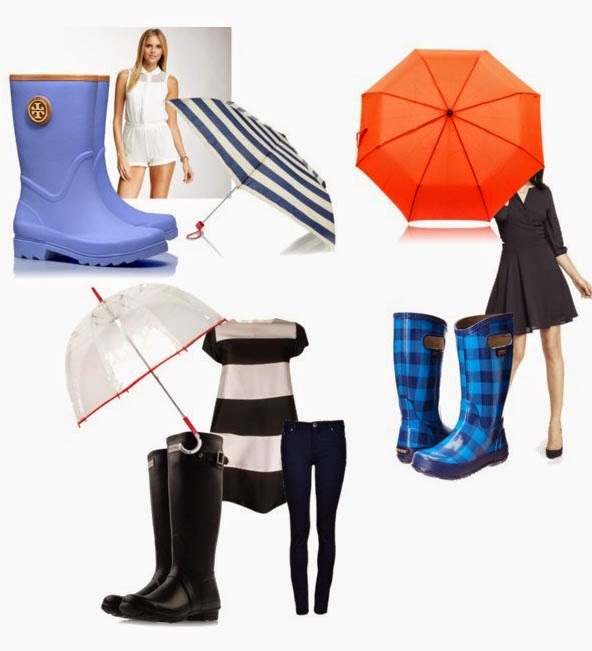 Take a look at these three must have waterproof pieces: poncho, rain boots, and a trench coat, these items can easily still be worn with style! So don't get too bummed out just yet, there is always light at the end of the tunnel! 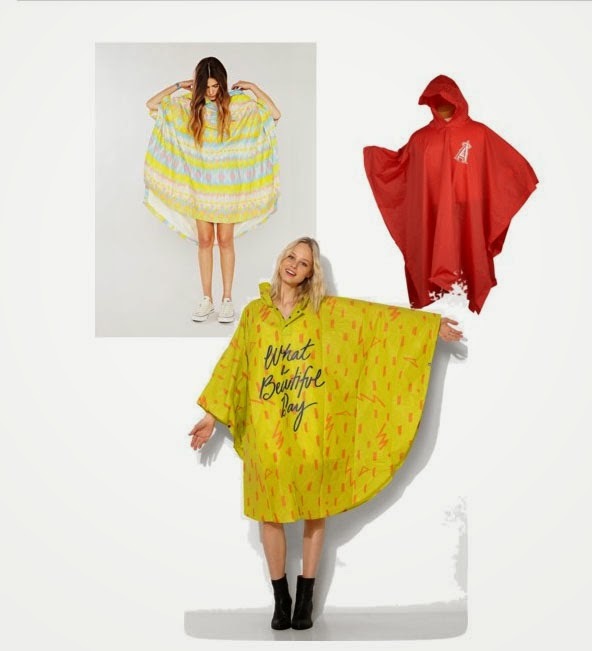 This over-sized, garbage-bag looking cover-up can quickly help you stay dry during that outdoor festivity you decided to go to, but at the same time can be your worst nightmare. What to do now? Purchase a poncho that is colorful or has a nice design/pattern on it. You can even go with a clear, see-through poncho to be able to show off your outfit underneath. Clunky, rubbery boots can easily throw anybody's outfit off to a bad start. However, wearing a solid classic color like black or blue can be worn with a dress, skirt or even a pair of jeans. You can still go with prints like polka dots, flowers, and stripes, as long as it pairs nicely with your outfit. Trenches are a hot commodity nowadays. Red, black, blue, printed...you choose. 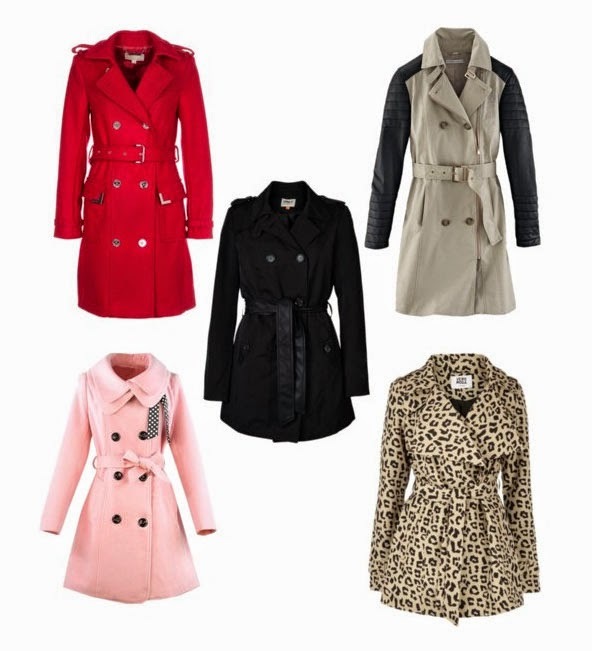 Trenches are fitted to your shape and style, and are great to wear even when it's not raining. Rainy days may make you feel lazy, unproductive, and miserable, but it should not have to affect your style! Ponchos, rain boots and trenches are a great way to stay chic and stylish on any gloomy day! 'Rain, rain go away, come again another day...' Let's hope Mr. Sun will decide to come out and stay! Perfect post according to rain. Love... Love... Love all the things.